Rory Golden became the first Irish diver to visit the site of RMS Titanic in August 2000. He was a member of an expedition that recovered 800 artefacts from nearly 4,000 metres. His dive was in a Russian submersible, and he left a memorial plaque on the wreck on behalf of the people of Ireland. He also spotted the main ship’s wheel, which was recovered on the dive. Returning in August 2005, he left two more memorial plaques from Belfast on the ship. This expedition was broadcast as a documentary, “A Journey to Remember”, on BBC. The trip to the seabed takes two-and-a-half hours, with a total journey time of 12 hours. The submarines have a life support pressure hull of only 2 metres diameter for three, and an operating depth of 6,000 metres. The external pressure at 4,000 metres is 400 Bar, or 6,000 lbs per square inch. More people have been to outer space than to these ocean depths. Rory’s talks include: a 15-date UK tour, Titanic – Belfast, the National Museum of Ireland, National Concert Hall Dublin, Belfast City Council, Irish Titanic Historical Society, Belfast Titanic Society, Irish and UK dive shows, National Maritime Museum, National Maritime College of Ireland, schools and colleges, after dinner events, Oceanology International and The Explorers Club. His presentation includes images from his own trips, but also many unique ones taken by his friend, the late Ralph White, from the 1985 wreck discovery and the first artefact recovery trip in 1987. 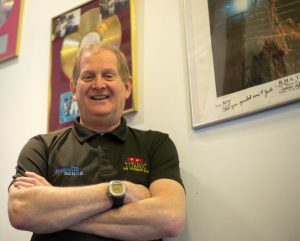 MD of Virgin Records Ireland for 15 years, Rory founded his own company, Flagship Scubadiving Ltd, when he left the music industry after 25 years. He has been involved in diving since 1976, as instructor and commercial diver, as well as PRO for the Irish Underwater Council. His company supplies and services diving and specialised marine equipment to state agencies, such as the Irish Coast Guard, Navy Divers, Civil Defence, Army Ranger Wing, the Garda Water Unit, Inland Fisheries, and Search & Recovery units. 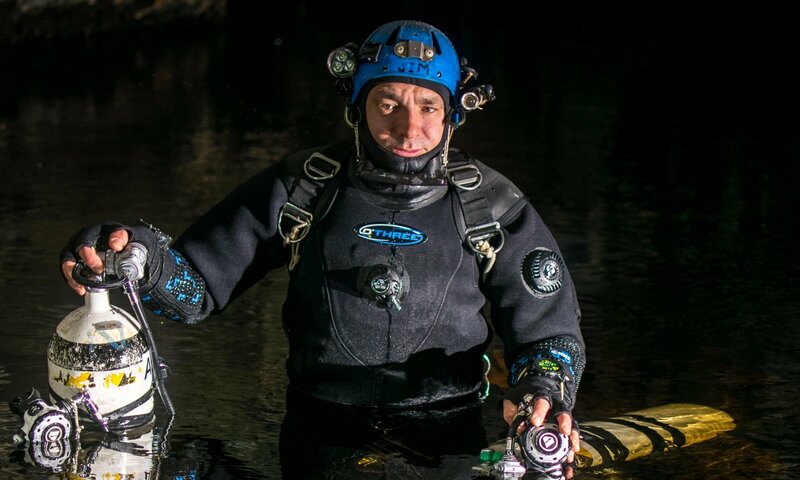 He has climbed Mont Blanc and Kilimanjaro, did a tandem freefall parachute jump from 13,500 feet for the ISPCC children’s charity, and set up Ireland’s first inland dive centre in a flooded slate quarry near Nenagh in Portroe, Co Tipperary. He is a regular hiker in Wicklow and Connemara.